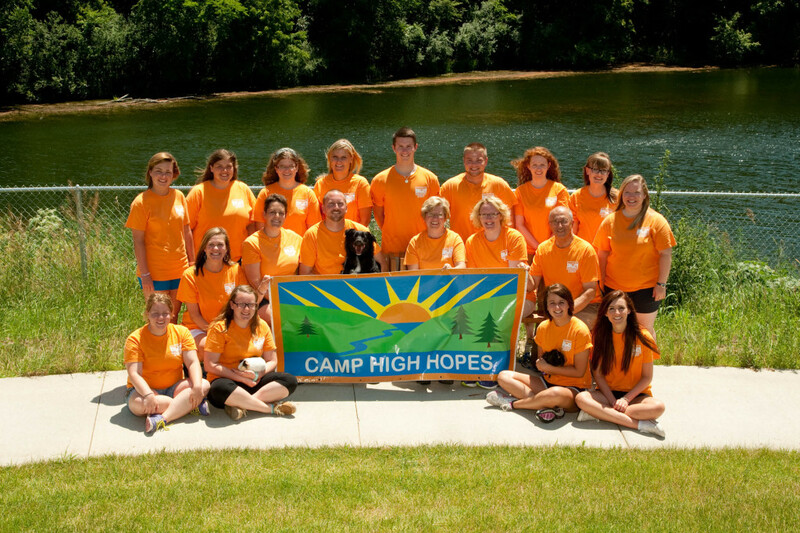 Camp High Hopes was honored to be Eldon’s Guest Bartender on March 13th. Good times were shared by all! On behalf of the entire staff, Board of Directors, Rib Run planning committee, Campers and Camper Families, WE THANK YOU for your generosity! Top row (left to right): Georgie Wiles, Randi Barge, Melinda Kimball, Robyn Vermeer, Daniel Pearson, Neil Marr, Lauren Millar, Ellie Howe, & BreAnna Hardin. Middle row (left to right): Ali Langseth, Samantha Martin, Jonathan Mauk (holding Belle), Donna Shea, Meghan McClure, & Gary Turbes, Founder. Bottom row (left to right): Becky Ryan, Jackie Blackwell (holding Roxie), Mallory Hinkeldey (holding Scottie), & Kara Howie.